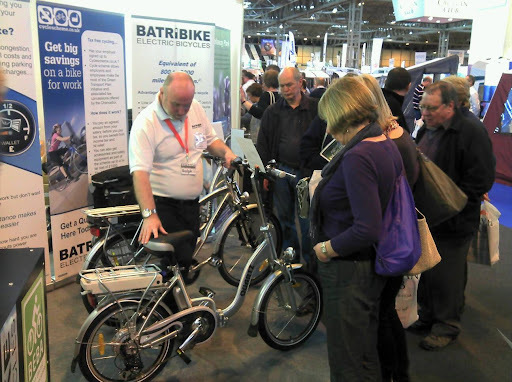 We were pleased to see happy electric bike riders at the Exeter Show yesterday. A customer who purchased a Quartz at the Chepstow Show was back to tell us how he had enjoyed his summer last year. He and his wife had been to France where the campsite was someway out of town but situated on several cycle routes. We cycled every day he enthused, something I would not have been able to do before I got the Quartz. We cycled down to the coast and along the prom, it was marvellous, I saved money too as we hardly used the car while we were there. His wife was pleased too, as previously she would have had to go on her own, it was good to be able to go together. It was so good we have booked to go back to the same place this year he told me.